Annecy has been “Loving Vincent.” The world premiere on Tuesday at France’s Annecy Festival of the independent animated feature received a 10-minute-plus standing ovation which lasted throughout the final credit sequence and beyond. 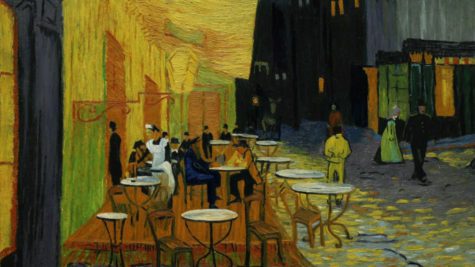 About Vincent van Gogh, the movie is billed as the first-ever fully-painted feature film. A fictionalized, mystery-driven biopic, “Vincent” has a vibrant palette created by stop-motion oil paint brush strokes painted on canvas after the directors rotoscoped the performance of actors. The story plumbs the last days and still-not-completely-clarified death of the painting master. Van Gogh’s Ear: It Was Gauguin!